It is well known by now that our media have become a business for profit without any regard for any cause other than their owner’s interest. Still, one expects them to do business with a good taste and intelligence. Unfortunarely, they are doing the very opposite, especially the electronic media. They not only show a poor taste but also show a low level of intelligence. The coverage of the debate in the Lok Sabha on the issue of Sushma Swaraj -Lalit Modi scandal epitomises both. 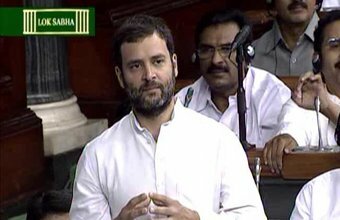 It is understandable that they had to report the abuses hurled at Rahul Gandhi and his family by Sushma Swaraj in her indefensible defence , but not the glee with which they went on and on showing the footage of the slanging match between Rahul Gandhi and Sushma Swaraj and declaring how the BJP had got the better of the Congress. Were they umpiring the slanging match between the BJP and the Congress giving us a blow by blow account of with their running commentary ? The two relevant questions for the nation were not even mentioned. What precisely was Sushma Swaraj’s answer to the seven specific questions asked by the Leader of the Congress Party Mallikarjun Kharge ? How convincing were her answers and what was their opinion of her rebuttal ? The issue was the demand of Sushma Swaraj’s resignation on the basis of Kharge’s specific allegations and her reply and not the verabal exchange between Sushma Swaraj and Rahul Gandhi. The main issue on which the Lok Sabha met was ignored in the discussions that followed in the electronic media. But most baffling is the silence of the media on Narendra Modi’s turning completely mute despite his possession of a generous share of the gift of the Gab, and his inexplicable absence from the Lok Sabha when the integrity of his Foreign Minister was being questioned and her resignation demanded. Was it because he feared that his own image would be tarnished if he stood to defend her ? Or was it because he was convinced of the charges against her and did not want to compromise himself by speaking in her defence , but was persuaded not to seek her resignation on political consideration? Or did he stay away in a silent protest because he was prevailed upon by the Sangh and the others (who count ) not to do what in his opinion was the rights thing to do? The clinging of Sushma Swaraj to the office despite this humiliation exposes her insatiable lust for office. Any person with an iota of self respect would have resigned from the cabinet of a Prime Minister who refuses to stand by her in the Lok Sabha when her integrity is under attack and her head is being demanded. By staying away from the proceedings of the Lok Sabha Prime Minister Modi made her plight pathetic and her continuation in her job a shameful act. Why he did it is the most important question for the nation , but irrelevant for our media, which must be looking for more spicy stories of no consequence to the nation and the society..
Modi's suit costlier than Narmada rehabilitation: Whose development?